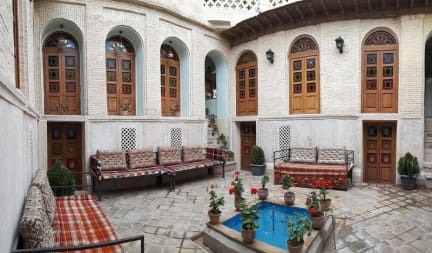 Sepehri Traditional House is a beauttiful traditional house in Shiraz that is located in the historical area of Sange Siah (Black Stone). It features beautiful Persian architecture. 1. romantic underground rooms with moisture smell that you should try this with your partner! and the 2.traditional rooms with awesome painting on the ceiling and beautiful colorful windows! 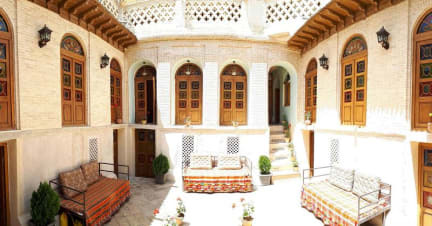 While staying with us, you can visit many tourism attractions located just with 5 -15 minute walking from Sepehri Traditional House including Shahcheragh Holy Shrine, The Vakil Bazaar & The Karim Khani Arg. and any kind of tours to Perspolis/Pasargad/Pink Lake/Qalat village. Cancellation policy: 1 day before arrival at 6pm.